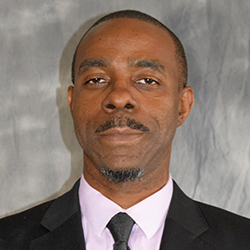 Brian Williams has been in education for over 15 years, teaching in innercity elementary schools, serving on school site committees, and holding leadership roles throughout those years. Brian joined Five Keys to follow his passion for changing the lives of underserved communities, and he has focused his efforts on inspiring and supporting the students we serve. His leadership and his dedication to our school, staff and students, is a reflection of his passion in his position of Principal of Community Sites in the Greater Los Angeles Region. In his free time, Brian loves sports, travel and spending time with family.